The visual wizardry of the film aside, Cloverfield director Matt Reeves succeeds in making you care for his characters, both humans and apes. Caesar’s scenes with his grown-up son are emotionally wrought, and not hard to relate to for anyone who’s had difficulty getting through to a child. The script, rich in subtext, addresses big, important themes with surprising subtlety. Dawn of the Planet of the Apes is consistently engaging, and a film to be enjoyed on the big screen. It is a blockbuster in every sense of the word, offering big thrills and moments of great awe and wonder, yet it’s smart and full of feeling too. I’m going with three-and-a-half out of five. Don’t miss it. In spite of the heart-warming story and execution, things do get predictable as it won’t take you long to guess who the villain is. However that doesn’t hinder its impact, thanks to spectacular performances, special effects and 3D. Also, the visual effects here do not overshadow the emotions or content. Each character has been neatly etched and detailed. You feel for their loss and fear. Very few films have a soul, style and substance and this is one of those rare films.Emotionally intense, deeply absorbing and visually engaging, DOTPOTA is a solid build-up to another deserving sequel. If not anything, you must watch it for Caesar aka motion capture maestro Andy Serkis. He is the ‘Godfather’ here. 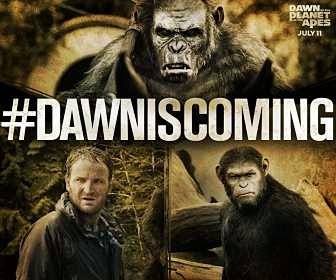 Dawn of the Planet of the Apes rises above all its predecessors. As far as Dawn of the Planet of the Apes goes, it is important to make one thing very clear — it works, not because of the judiciously used special effects, not because of tightly written script but simply due to the genius of Andy Serkis. Dawn of the Planet of the Apes is best watched in 3D, and if you really want to be dazzled then I suggest going as far as Imax. Dawn of the Planet of the Apes unapologetically pits humans against apes; and you can’t just be a mute spectator.You will be forced to take sides. A change in direction (Reeves taking over from Rise’s Rupert Wyatt) seems to have paid off. Also, the beauty of this film is not so much in what’s said or heard, but what isn’t. The computer-generated apes’ eyes do most of the ‘talking’, ably aided by subtitles for the most part. The action scenes are few and far between but quite impactful. Definitely watch this one for Andy Serkis. And because — cheesy as it may sound — when the end credits roll, you realise that it’s not the destination that mattered, it’s the journey this film took you on. You rarely get to say that about sequels these days. Bring on the next one! Reeves utilises the thrill-a-minute skills he displayed so effectively in his earlier films to great effect in Dawn…, while still staying true to the sci-fi fantasy canvas required for a film like this. 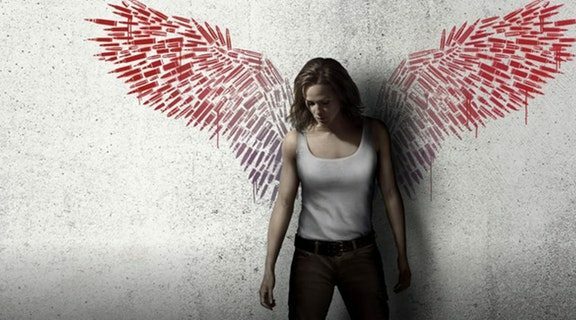 In effect, the film stays true to its predecessor’s style, which is perhaps disappointing if one was looking for Birdman-like pizzazz from this movie. However, this doesn’t stop Reeves from inserting some beautiful sequences that stay with you long after the film is done. But seriously, everything described above, as efficient and beautiful as it all is, pales in comparison to the genius that is the motion-capture performance by Serkis. Dawn of the Planet of the Apes, directed by Matt Reeves, turns out to be surprisingly remarkable. An intense film on interspecies conflict and struggle for survival. Dawn of the Planet of the Apes, will amaze you. It is a true spectacle. There is Suspense, Thrill, Drama and whole lot of Action. If Transformers somewhat left you heart-broken, Dawn of the Planet of the Apes will revive you. It is more than a tale of survival. It is about the complexities of the mind and relationships. And if you are a fan of Andy Serkis, you mustn’t miss out this avatar of him.